You may be wondering “How can pressure washing services in Canton, OH benefit me?” With pressure washing services, Canton, OH customers can protect and maintain their largest, most valuable asset: their properties. Wilhelm Power Washing provides pressure washing services Canton, OH residential and commercial clients can use for their property. For example, a businessman can use our pressure washing in Canton, OH to clean their office complex. A clean office building is sure to impress employees and clients. Similarly, with pressure washing services, Canton, OH homeowners can clean their homes. Our pressure washing cleaning in Canton, OH can be used to clean a variety of surfaces like wood, vinyl, brick, and concrete. This is guaranteed to leave the walls, floor, and roof of your home absolutely clean and more comfortable to live in. When it comes to pressure washing cleaning, Canton, OH residents should turn to Wilhelm Power Washing. We are a company with more than four decades of industry experience. This has allowed us to do various orders of pressure washing services in Canton, OH and nearby areas. 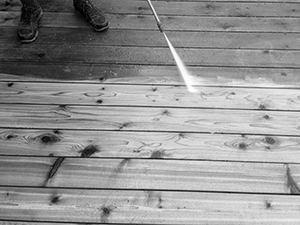 Our experience has given us an edge above others because we’ve always aimed to perfect our pressure washing work. Wilhelm Power Washing prides itself on the fact that we use safe, environmentally friendly, and biodegradable chemicals for our pressure washing cleaning. Canton, OH clients can breathe a sigh of relief knowing our pressure washing services in Canton, OH are more than just effective; they’re also safe. It’s a known fact that over time, any property, residential or commercial, becomes worn out after many years of use. With pressure washing, Canton, OH residents can take down the main cause of the problem: dirt and grime buildup. Wilhelm Power Washing offers not only exterior wall cleaning with pressure washing services in Canton, OH but also the cleaning of any surface area touched by dirt. This includes cleaning the facade, garage, porch, and even the driveway. Maintaining clean premises is important for both residential and commercial establishment owners. Bonus: We use top-notch soap for our pressure washing services in Canton, OH! After our cleaning, say goodbye to all the stubborn stains that’s been polluting your walls or your flooring. Getting our professional pressure washing in Canton, OH is one of the best investments you can do for your home. If you clean the interior of your house on a daily basis, then you should also clean the exterior every once in a while. Pressure washing in Canton, OH is one of the best and fastest ways homeowners can permanently get rid of the stains on the outside of their home or business. Contact Wilhelm Washing to learn more about residential pressure washing services in Canton, OH. When you’re running an office complex, the only way you can attract potential clients who want to rent out an office space is by keeping the building presentable. With regular pressure washing, Canton, OH business owners can bid farewell to dirty buildings that turn clients off. In fact, getting our pressure washing services in Canton, OH should be a requirement for you. Count these as a valuable investment and see how great it is to reap the benefits. You can get in touch with Wilhelm Power Washing to learn more about pressure washing services in Canton, OH. Get Pressure Washing Services in Canton, Ohio Today! For more information about how our pressure washing services in Canton, OH can benefit you, call us at 330-477-7094. To get an idea of how buildings look after our pressure washing services, Canton, OH clients can browse through our gallery. Similarly, you can leave us a message through our inquiry form located at the bottom of our contact page. As a home owner, you want the exteriors of your home to always look clean and presentable. However, no matter how much you try, it’s inevitable that your home or office will become filthy. With the passing of time comes an accumulation of dust and dirt, as well as the growth of mildew, mold, or moss. These contaminants will not only make your home look dirty but also expose you to health risks. Before you or anyone else gets hurt, you should turn to Wilhelm Power Washing. With our expert pressure washing and painting services, we ensure that your home will start looking as good as new. We are committed to your satisfaction and safety; as such, we only use top-of-the-line equipment, paint, and cleaning solutions for each of our jobs. Since 1973, Wilhelm Power Washing has been providing expert pressure washing and house painting services to both residential and commercial clients in Northeast OH. Our dedicated staff has more than 40 years of combined experience.